Today Alltel announced three new phones that it plans to launch in the first quarter of the year. Currently none of them can be bought, and only the Pearl Red is available for pre-order. LG Scoop was first shown at CES 2008, and is the carrier's variant of the Sprint's Rumor. It is basic device for text messaging, with side-sliding QWERTY keyboard and will be available in two color variants: Orange and Light Blue. The Samsung Muse hasn't been seen before; it is clamshell phone in "midnight blue" color with 2-megapixel camera, Stereo Bluetooth, and GPS and will be targeted to the multimedia fans. 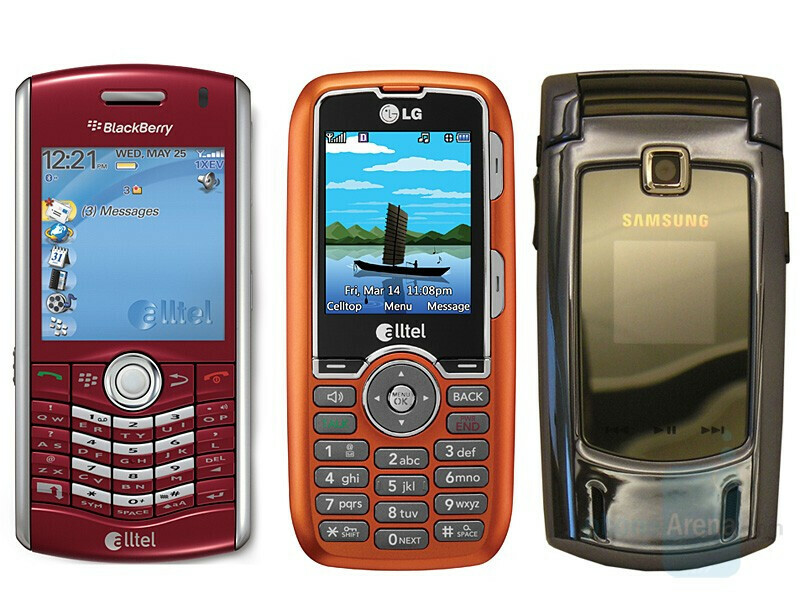 Alltel will also offer a new color variant of the Pearl 8130, a Red Pearl. Its specifications will be the same as the standard one.